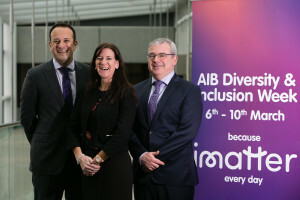 Gillian Harford heads up human resources planning and strategy in AIB and this is an exciting week for her as several initiatives she has been working on to improve equality and fairness in the bank are launched. Minding The Gap for women on maternity leave is an initiative that they have been working on for some time now and it is being very well received by staff. They provide access to email for those who want to keep in touch but this is not obligatory. They will also be providing three paid Keep In Touch days -like they have in the UK already- to allow for phased reintroduction to the workplace. Greater diversity on boards and in senior leadership teams is essential for any organisation Gillian believes and this is true for financial institutions too. They have a target of 40% in their senior leadership teams. AIB plans to have 40 per cent women across management by 2018 and they have already achieved their target of 25% representation of women on the AIB Group board since the end of 2016. 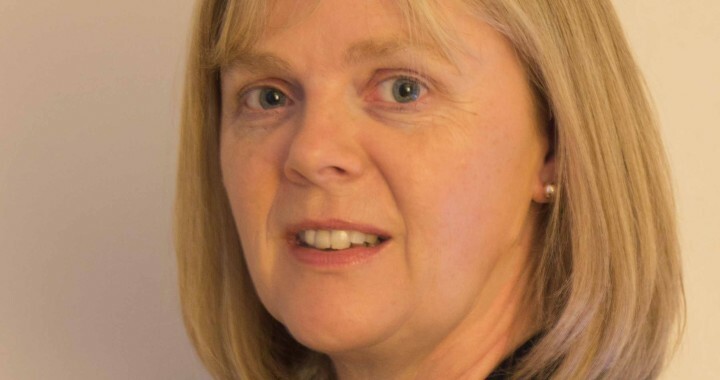 From her own life experience and thirty years as a leader in human resources Gillian shares her top tips for career and for life in the podcast. Mind Your Energy If your emotional energy is strong you will thrive. As homemakers and minders we tend to put ourselves last but sometimes we should put ourselves first. Networking Is Essential not a perk and women do not always see the value so do some networking. Do it with purpose and don’t see it as a waste of time. Parachutes Are Fantastic inventions we all have them but as women we don’t always use them. And we don’t always let other people catch us when we think we are going to fall. Sometimes when you let go in a crisis others will jump in and support you as you have done for them in the past. Know Your Own Worth and protect it. We need to know and we need to think about our pensions, to think about our jobs, we need to think about putting ourselves forward and not being afraid to sell ourselves every now and again. It is not about looking for promotion or money, it’s about really recognizing our worth and our value. Be Brave We should try something brave every now and again, whether that is going for a new job, or looking at some further education, testing a new company doing something outside of our comfort zone. We can be so successful when we have confidence in ourselves and we just have to remind ourselves of that sometimes. We teach our daughters to be good and our sons to be brave. Maybe we might need to do vice versa sometimes. Don’t wait for somebody to tell you that you’re brilliant. If you are really good, then be confident in that and go out and show what you are worth. The Women In Leadership podcast is copyright.